In an unprecedented move the Marco Rubio PAC released anti-Trump KKK ads in Florida and Missouri this week. Not even Democrats have ever had the balls to pull this off against a Republican opponent. And the Republican establishment has so far remained silent as this ad is aired in primary states! Rubio supporter is threatening to firebomb the RNC convention to prevent Donald Trump from being the nominee. Let me explain something. 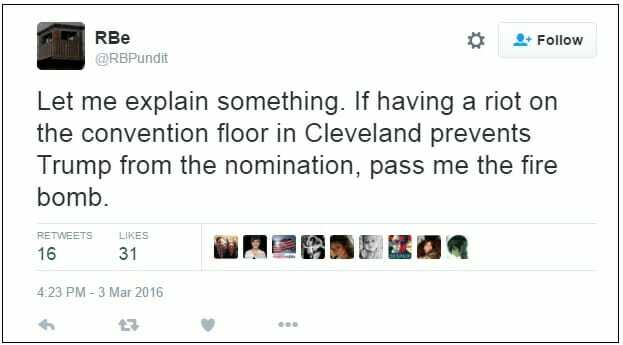 If having a riot on the convention floor in Cleveland prevents Trump from the nomination, pass me the fire bomb.